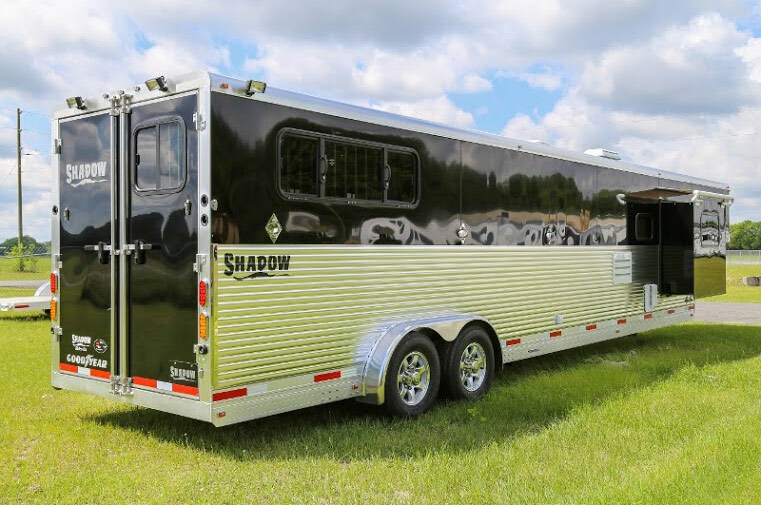 If you're looking for a quality manufactured top-of-the-line horse trailer, look no further than Shadow Trailer's Professional Series Living Quarter Horse Trailers!! These trailers come standard with all of our prestigious safety features plus added benefits such as our pan doors and windows, interlocking aluminium floor, and fully insulated horse area with roof vents! Additionally, ALL of our living quarters interiors are assembled AT OUR FACTORY by highly skilled craftsman.